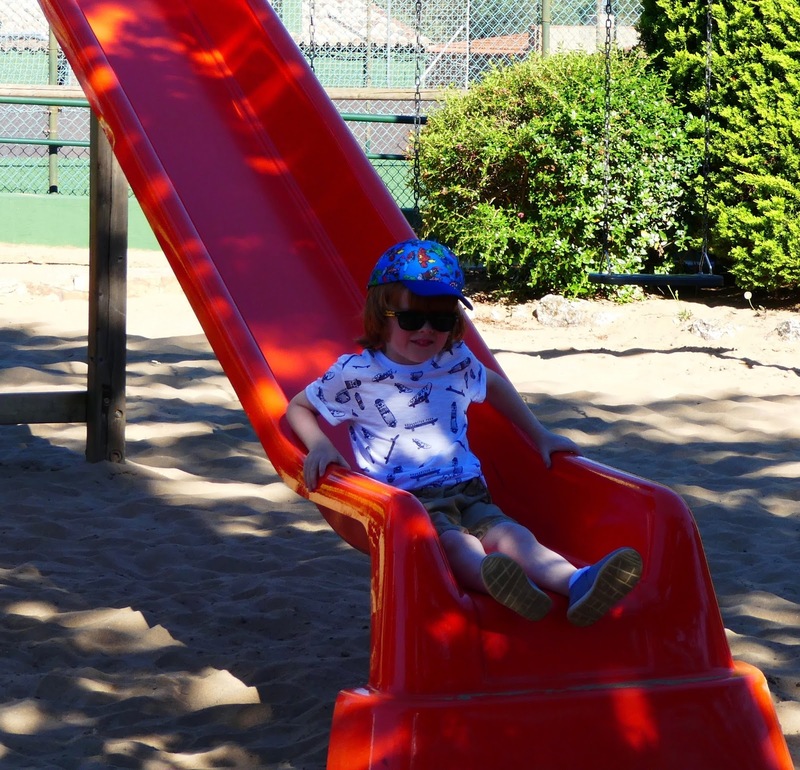 We spent the most chilled week in Spain this summer and travelling with our children now that they were older has certainly opened up a new type of holiday experience to is. 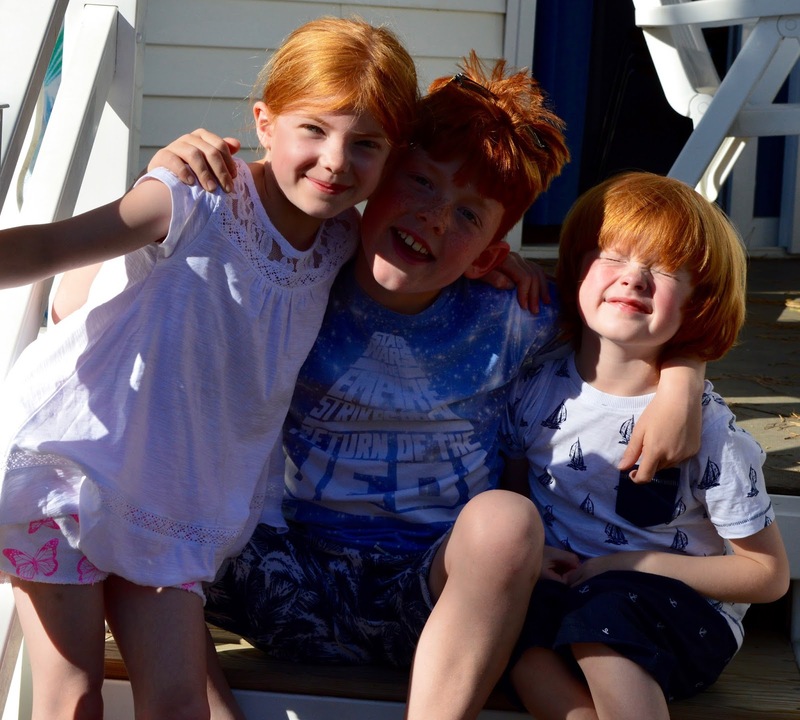 Taking multiple pushchairs on holiday used to be the norm for us but now our children are all of school age, that phase is well and truly behind us. This trip was also to be the first holiday abroad where Steve and I travelled with all three kids by ourselves and the thought of needing 10 pairs of eyes was a little daunting. Our place of residence for the week would be 'Camping La Siesta'. It is a small site with a good mix of accommodation and plenty of very good facilities. 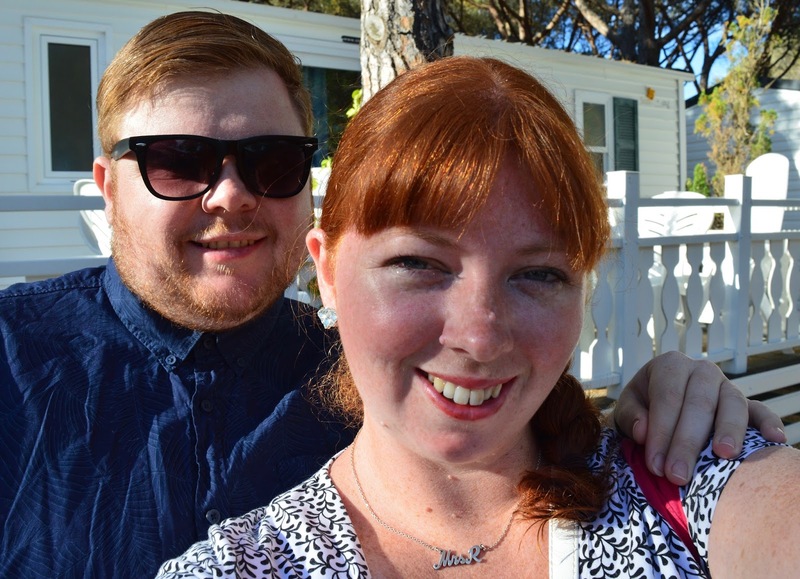 We stayed in an 'Athena 6' lodge with Siesta Holidays which was booked as a 'sunbargain' deal. This meant that we couldn't choose our exact accommodation type but they would guarantee it would have at least 3 bedrooms. All of the lodges looked fine and I wasn't bothered which type we were given - this saved us around £300 on our holiday booking. 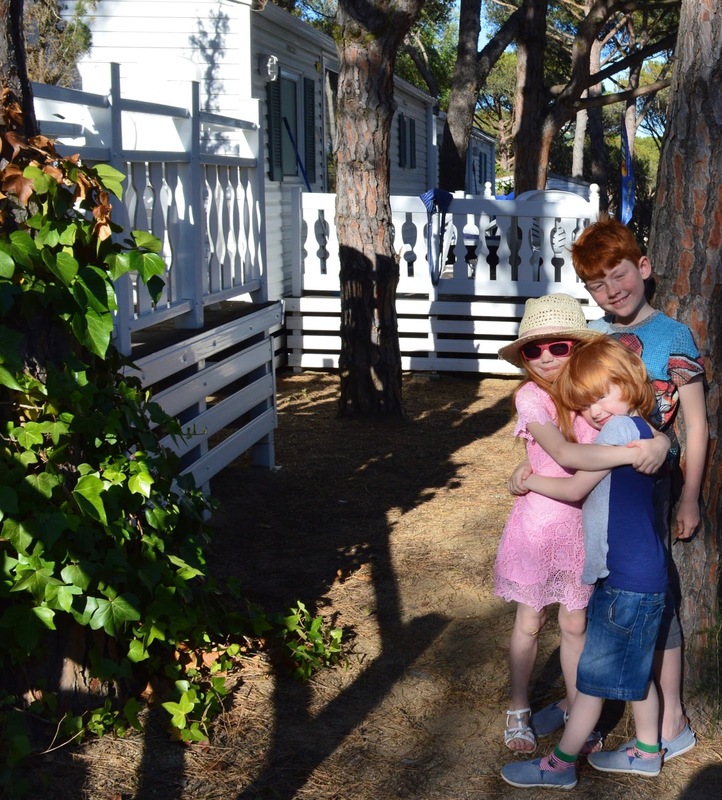 We have stayed in similar lodges before and think this type of accommodation is ideal for families. We had a kitchen with cooker, microwave and fridge freezer, air conditioning which was a god send , 3 bedrooms, 2 bathrooms, a living/dining area and a large outdoor verandah with patio furniture, a BBQ and your very own reclining sunloungers. A huge plus for us (however sad this may sound) was having our own TV with channels 1-5 plus sky news. We were on holiday during the EU referendum so being able to watch the news in the morning and our favourite show 'The Last Leg' was an added and unexpected bonus. Steve had packed our USB stick loaded with the kids' favourite movies too which we used to put on for them if they didn't want a sleep during Siesta time. The Siesta lodges are all together on site and it feels like a little community of ex-pats. Everyone gets to know one another as they sit on their verandahs at night and the kids all play together between the lodges. The Siesta staff are a HUGE credit to the park and were always around for a chat. They happily provided us with maps and answered our questions. They really were a fountain of knowledge and said if we ever needed anything, even if it was 11pm at night, to give them a knock and they would help. Their reception was open at set times through the day and if they weren't around, you could leave a message and they would quickly get back to you. I have honestly never experienced such helpful and friendly staff. Check out is supposed to be 9am but they told us we could have our lodge until 12noon when our return coach was picking us up as our lodge wasn't needed again until later that evening. This was a nice little touch that really made a difference to the end of our holiday. My life is jam packed - I'm always going here, there and everywhere and we really wanted to spend this holiday relaxing. Relaxing is what we did! The kids are old enough to stay up past midnight now which had the added bonus of them sleeping in until around 10:30am every day. Steve and I would wake at 8-8:30am and would spend a glorious few hours in complete peace on our verandah with endless coffee and a couple of good books. I genuinely felt sorry for those with toddlers who I overheard saying they were up at 6am - I remember those days well and I have to say I am very pleased to see the back of them. When the kids were up and ready we would head to the on-site bakery and shop where we would buy supplies for what we described as our 'epic Spanish brunch'. A bag full of buttery croissants still warm from the oven, chorizo, Iberico ham, cheeses, yogurt, tomato bread and fruit would all be washed down with freshly squeezed orange juice and only cost us around 20 euro. We felt like we were eating like kings! 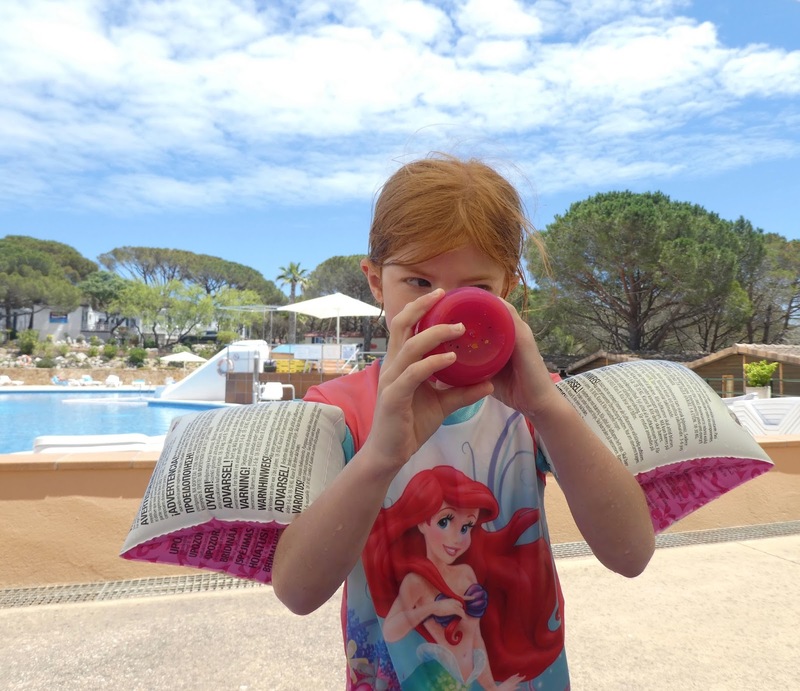 Afternoons would be spent in the pool or at the beach before we'd head back to our lodge at 5ish for a quick siesta before heading to one of the restaurants in Calella de Palafrugell or nearby Llafranc for dinner at around 8:30pm. 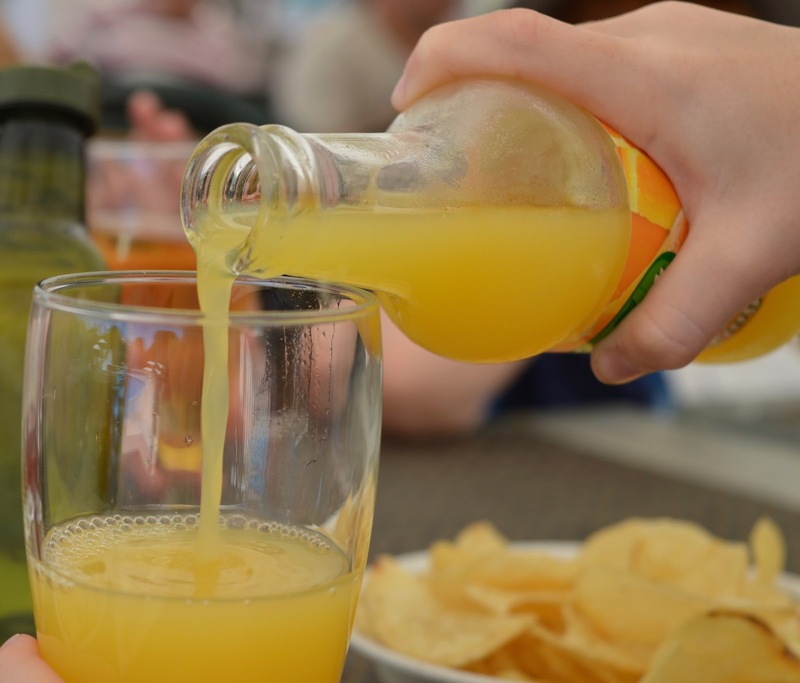 We'd usually head back to our site between 10-11 and either finish our day with drinks (or ice creams for the kids) in the site's bar overlooking the pool or on our verandah back at our lodge. You could buy a litre of sangria for 1 euro or a bottle of cava for 2 euro from the on-site shop and both were very drinkable. 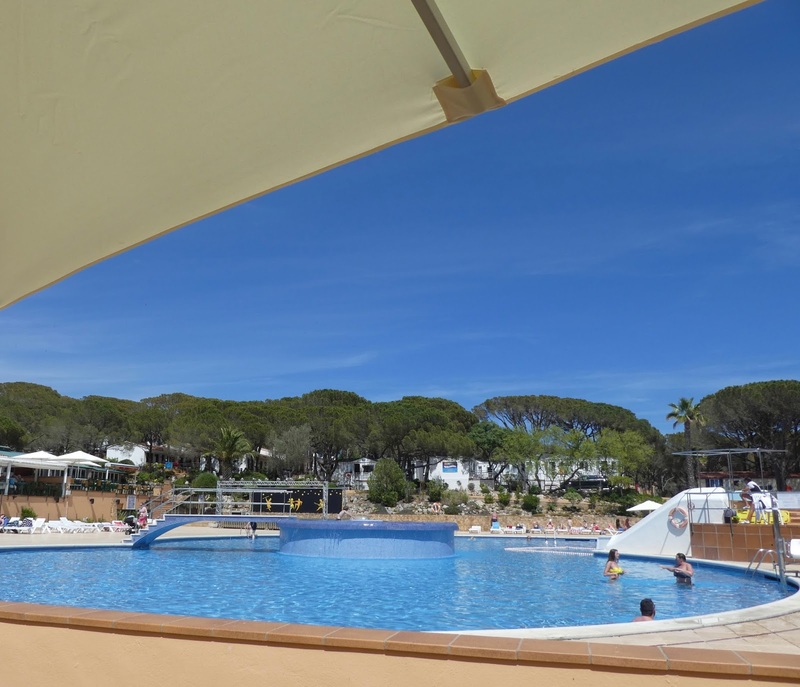 There are two pools at Camping La Siesta with a water slide and whirlpool. Only the main pool was open during our stay and there were always between 1-4 vigilant lifeguards on duty. I normally hate swimming on holiday but I actually enjoyed it this time. The kids could play in the shallow end without Steve and I needing to actually be in the pool so our time by the pool was a good mix of playing in the pool with the kids, sunbathing and reading. I had a super proud moment when Heidi swam for he first time unaided too and by the end of the holiday there was no stopping her. 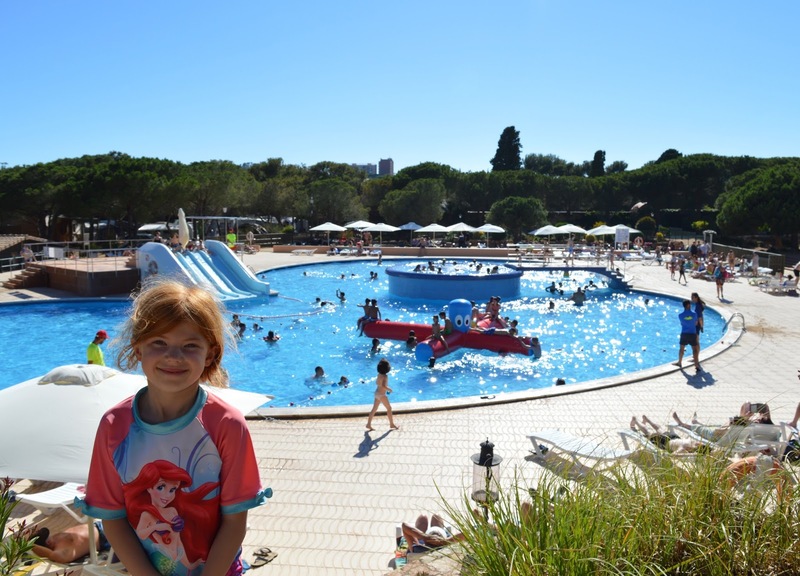 Sun loungers were free and plentiful and there were a few activities throughout the day including morning Aqua Zumba and giant pool inflatables every day at 4pm which was a real hit with teens. During the weekend the pool stayed open until 8pm. 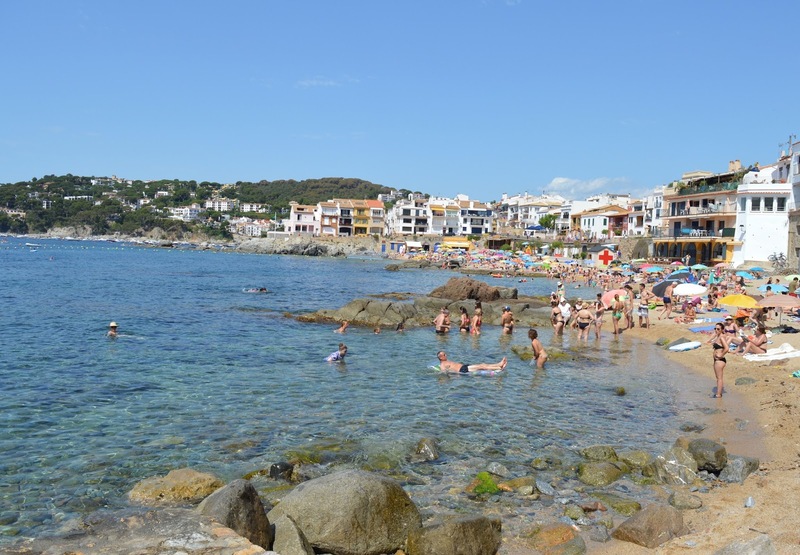 The beach at Calella de Palafrugal was only a 5 minute walk away - a gentle downhill stroll from the site entrance (which by the way was very secure and you needed to show your gate pass to gain entry back onto site). The waters were crystal clear with designated Swimming areas which were a popular place for people to enjoy a spot of snorkelling. Walk further down the coast and you'll find lots of rock pools to explore too. 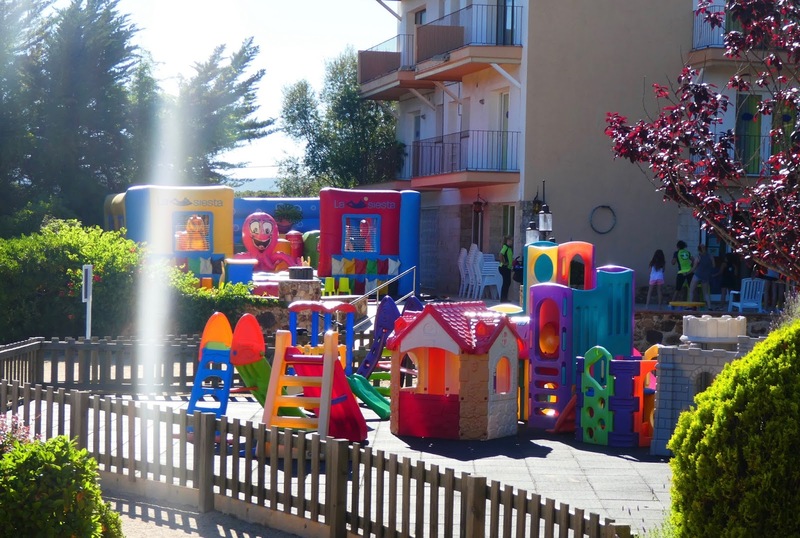 Camping La Siesta runs it's own mini club (not childcare) with a jam packed schedule from organised games to glitter tattoos, hair braiding, sporting competitions and Zumba lessons. There is a club for older children too with table football, air hockey, pool and activities available. 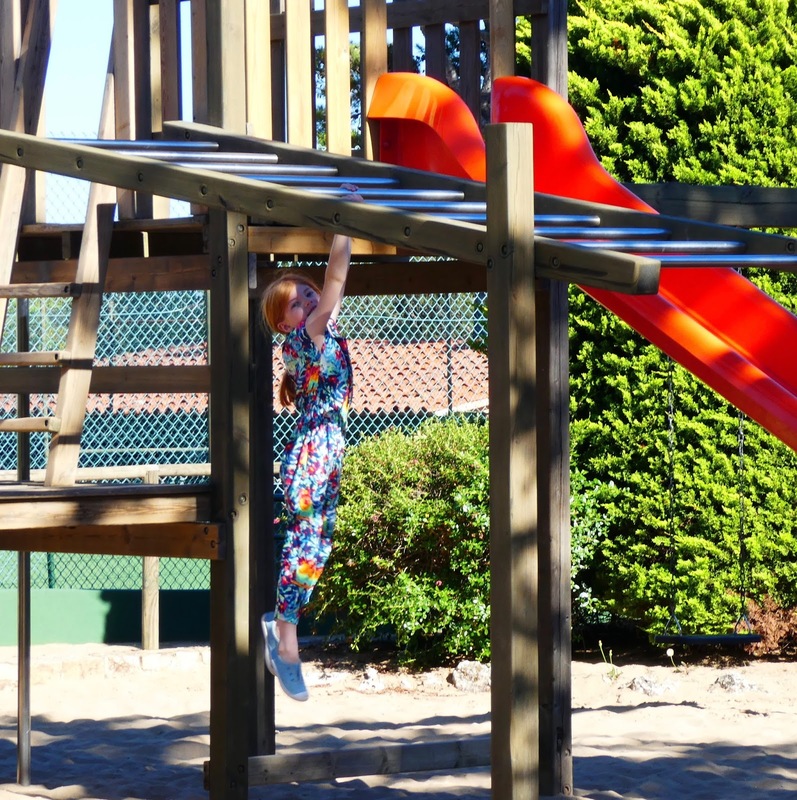 The timetables for mini club are displayed around site or you can 'drop in' to use their toys, play in the mini club park or enjoy the bouncy castle. Everything was in VERY good condition and completely free. My three would have loved the Little Tykes play village when they were younger. We did visit 'mini disco' at mini club one evening but my three weren't keen and declared it too babyish for them. Another holiday tradition bites the dust! 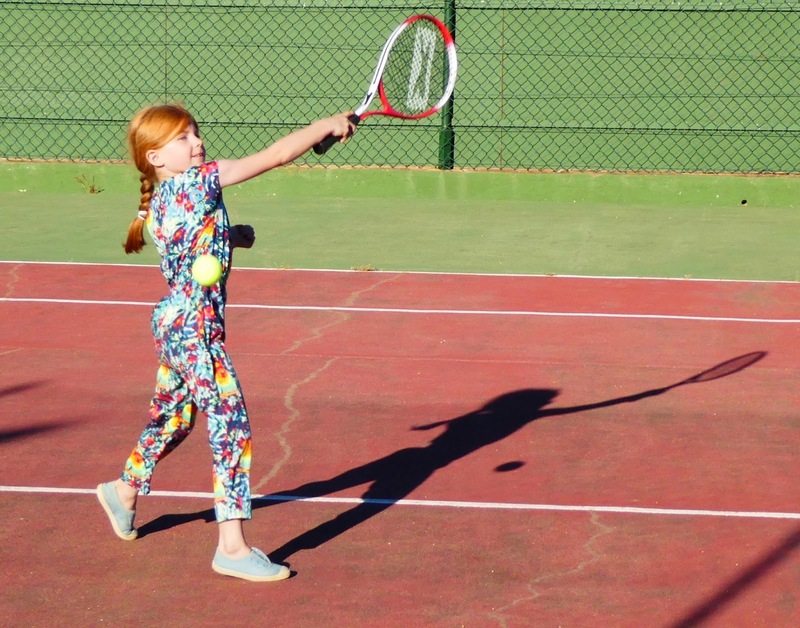 Activity wise there are free tennis courts, table tennis tables and football pitches to use - no need to book, just turn up. During our stay you could catch the Euro 2016 matches at the bar and if you needed wifi you could buy a pass from reception. For older children/adults there were daily free expeditions from guided bike rides to Nordic walking and mountain biking groups. You could hire a bike from reception too. The on-site supermarket was very well stocked and reasonably priced - it was open daily from 8:30am-8:30pm with a 2 hour siesta between 2-4pm. I swear I used to eat a whole packet of chorizo every day! It was only 1 euro and was money well spent I think. There is also an on-site bakery open during the same hours where you could buy a nice selections of fresh breads, pastries, cakes and freshly squeezed orange juice. 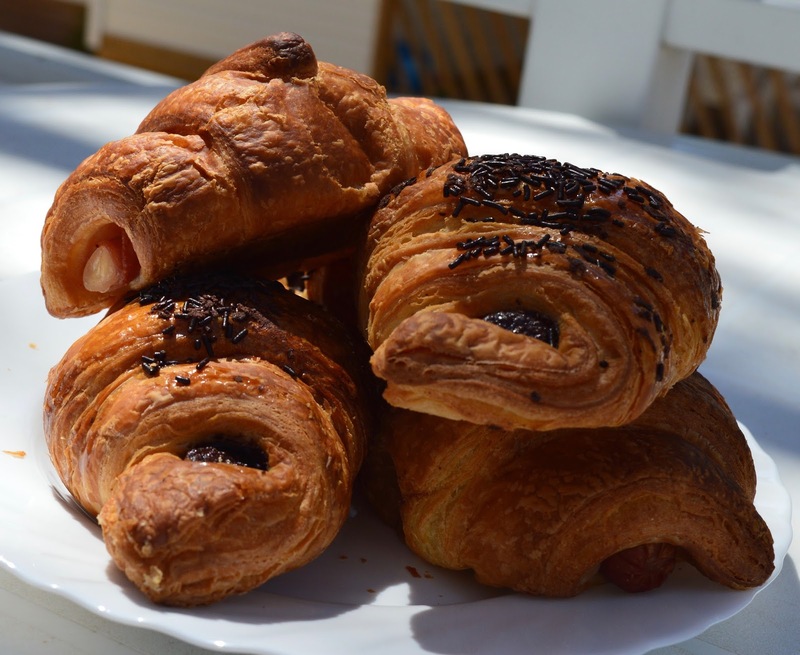 5 croissants will set you back around 4 euro but they are completely worth it. 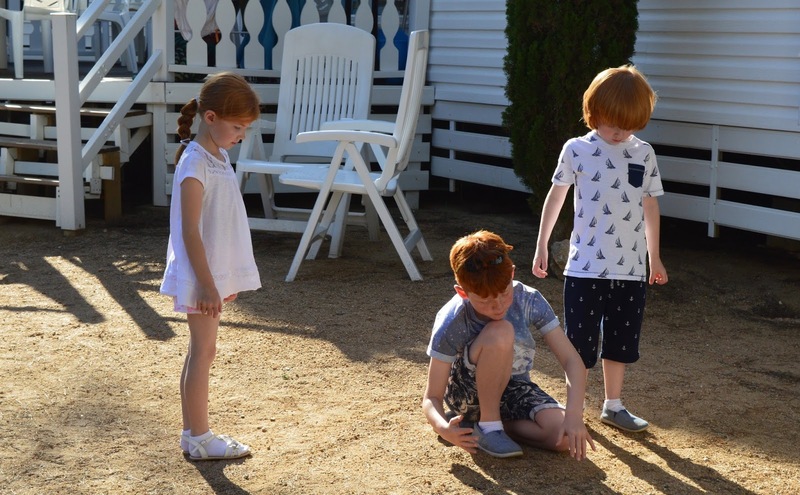 There is also a newsagent/beach shop on site where you can buy everything from beach mats to parasols, newspapers, magazines, buckets and spades and camping equipment. 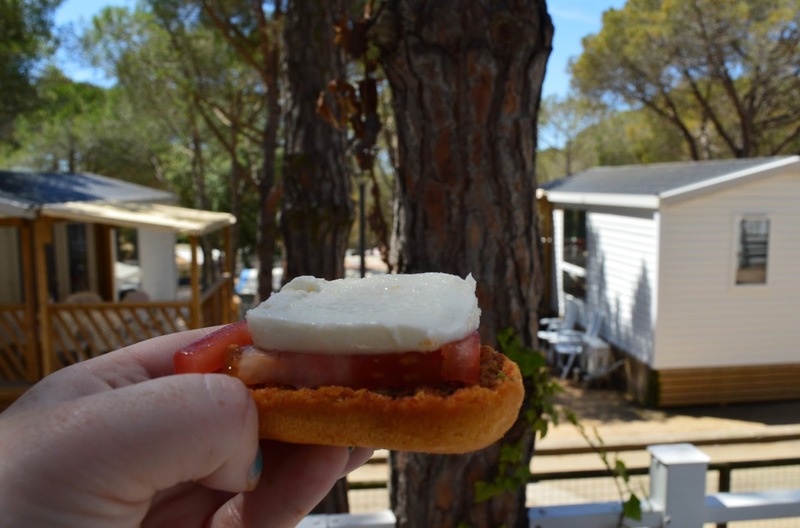 You'll find the Camping La Siesta restaurant overlooking the main pool area. 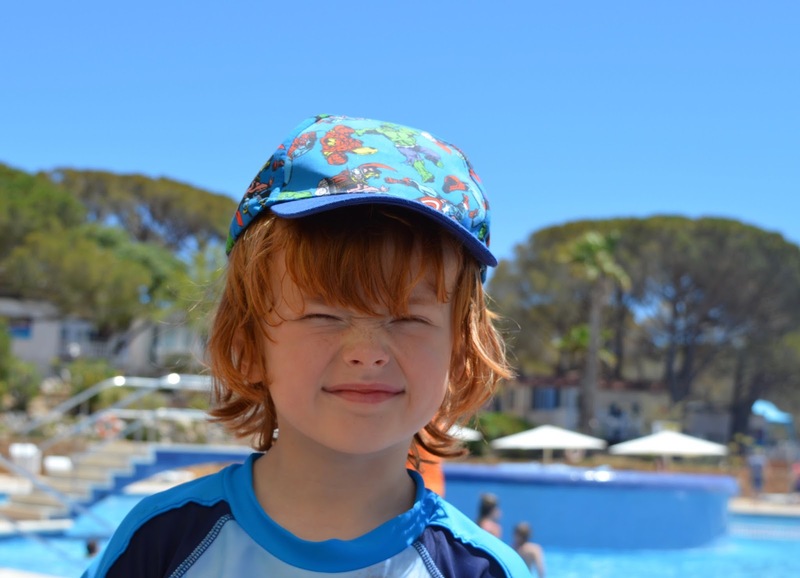 The staff are super helpful, service is speedy and for a campsite restaurant I have to say the food as pretty decent. 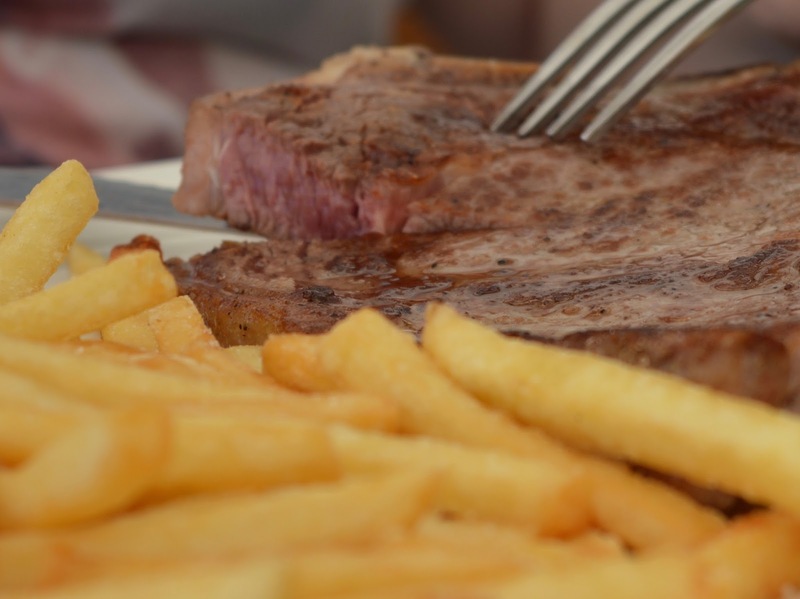 Highlights for us included their delicious salads (around 5 euros each and ideal for lunch), their Homemade Paella (12 euro per person) and Steve even enjoyed steak on one evening. There are a nice selection of cocktails (around 6 euro each) but we preferred a litre of sangria which was nice and strong (14 euro). 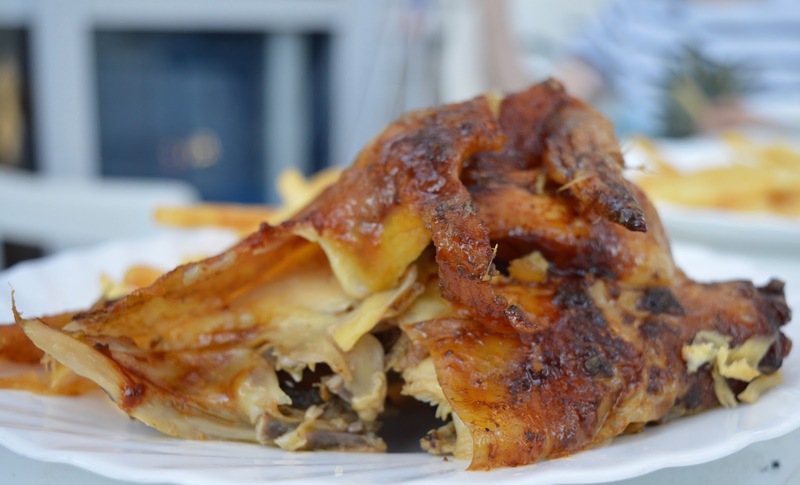 Next to the restaurant you'll find the snack bar which offers a takeaway service of spit roasted chickens (delicious and recommended), salads, burgers and pizzas. We ordered a nice feast between the 5 of us one evening for less then 30 euro. Finally, there is a little ice cream bar selling ice lollies and ice creams which were very reasonably priced (some were less than 1 euro). 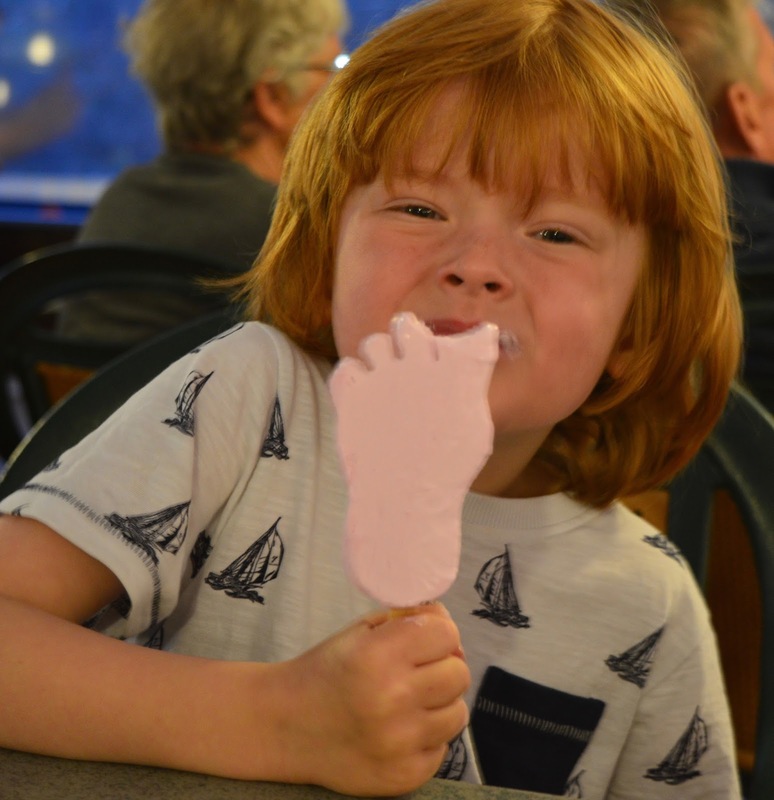 The staff were super friendly and by the end of the holiday the kids were confident enough to order their own ice creams from the bar - sending your kids to buy you a magnum = WINNING. During our stay (which was pushing into peak season) there was nightly entertainment which started at around 10pm by the pool. 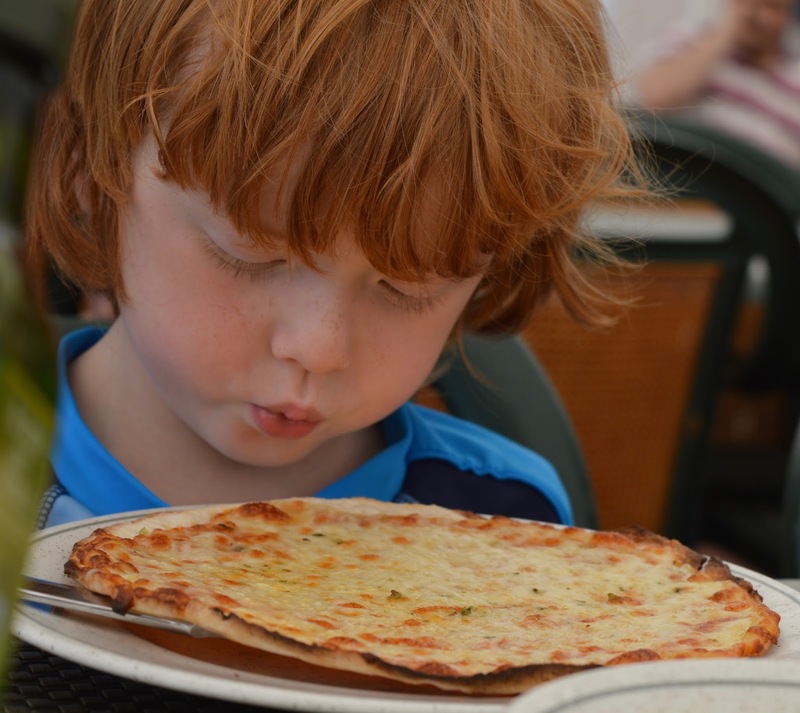 This really wasn't our cup of tea and like most entertainment we have encountered abroad we found it too cheesy. This didn't ruin our holiday though and we much preferred to end our evening with drinks on our lodge verandah as the kids played outside or we played games together. One night we even invented the 'Rickelton Rules' and Harry made a scroll featuring them all which he read out to everyone who would listen. There were also a few 'film nights' which starts at 9:30pm and included the likes of Ant Man and The Fast and Furious. Again, not really for us but it's nice to have the option. In conclusion I had a few tiny niggles with Camping La Siesta - I would have loved to have been able to buy wifi via my phone without needing to traipse to reception, the supermarket didn't provide any bags (which I know is common in Europe however at other similar sites we have stayed at they've always given us a big shopper to use when we check in) and I would love to see a booking system implemented for the tennis courts. 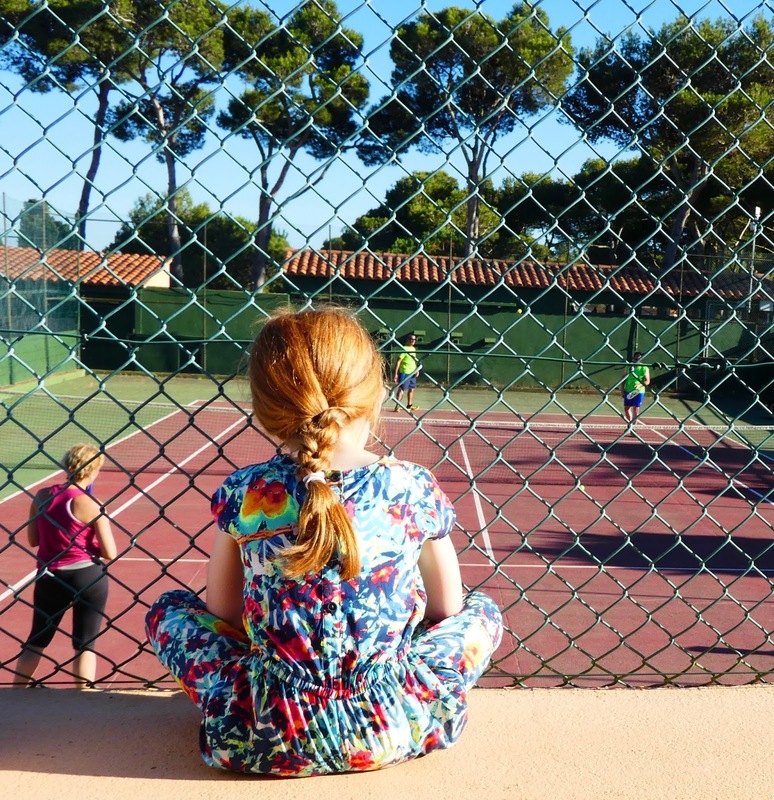 Sitting outside the court waiting our turn for an hour with the kids felt like an hour of our holiday wasted. These are all MINOR niggles though and I am already pricing up another stay with Camping La Siesta soon. 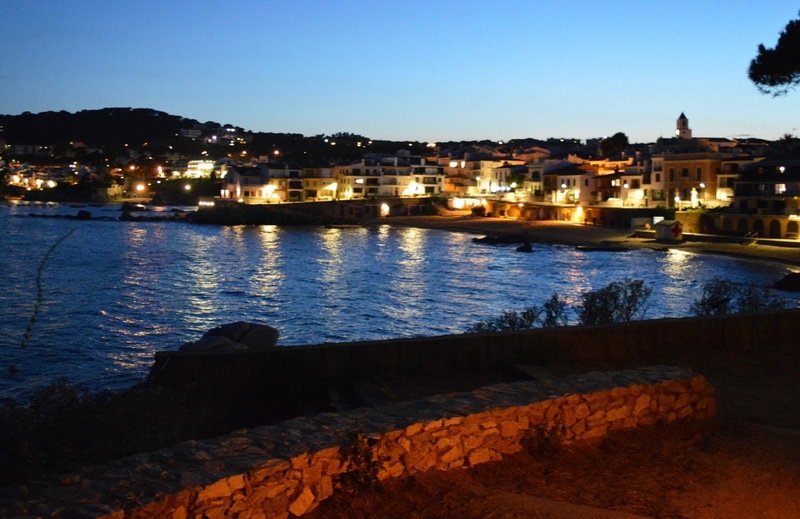 As well as the fantastic facilities on site, Camping La Siesta's enviable location I'm the heart of the beautiful resort of Calella de Palafrugell with it's picturesque coves and gorgeous restaurants made this one of the best (if not the best) family holidays we've very had. This sounds like such a lovely break for you both and the kids. Though 5 hour bus journeys are not for me, it actually looked quite comfortable! Also congrats on Heidi swimming all by herself! That sounds pretty blissful. Sun, sangria, sleep, lots of good food...having been woken up early the last two mornings, I can only dream of an 8am start. And congratulations to Heidi! 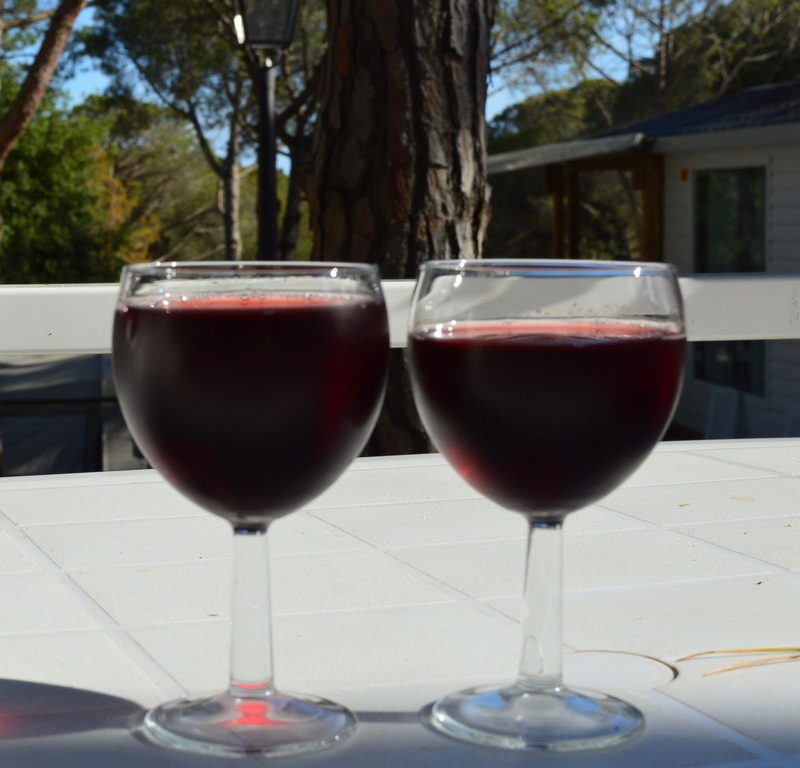 A relaxing holiday is always worth every penny - love getting properly chilled! It looks like you had an amazing week with some delicious food :) I can't wait for a holiday next year. Wow, what a fantastic break, and well deserved too! My kids would love it if I took them somewhere like that. Looks like you had a good time. Holidays are the best. Looks like you had a lovely holiday! I've never really looked at accommodation outside the good old traditional hotel thing, but this looks like a great alternative! So pleased it worked out for you! I love holidays when the kids get up later and later each day! I certainly don't miss taking pushchairs on holiday. The later checkout sounds very appealing - We could never manage to be ready for 9am! It looks and sounds like you all had a fantastic time. There's certainly lots going on there to keep everyone entertained! 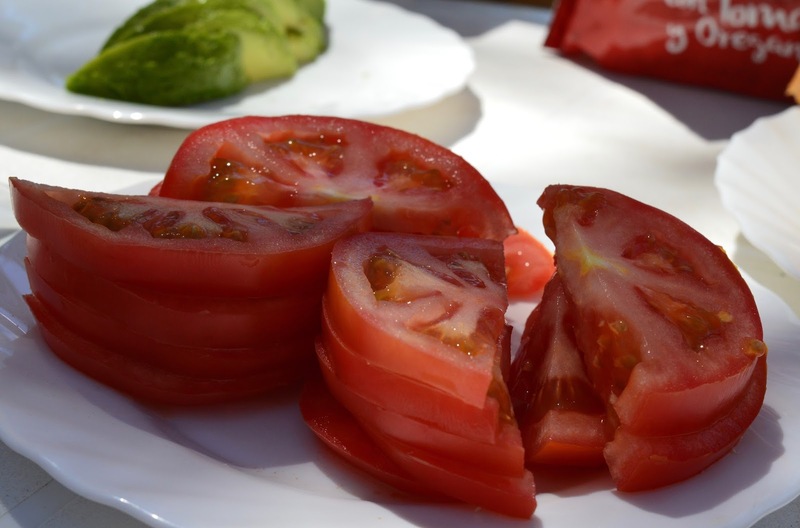 I love the sound of your big brunches, I could definitely eat that sat on a veranda somewhere sunny. This sounds like a great break - so pleased to hear you had a good time! What a beautiful family you have! So glad you all had such a fun time! -Great photos! 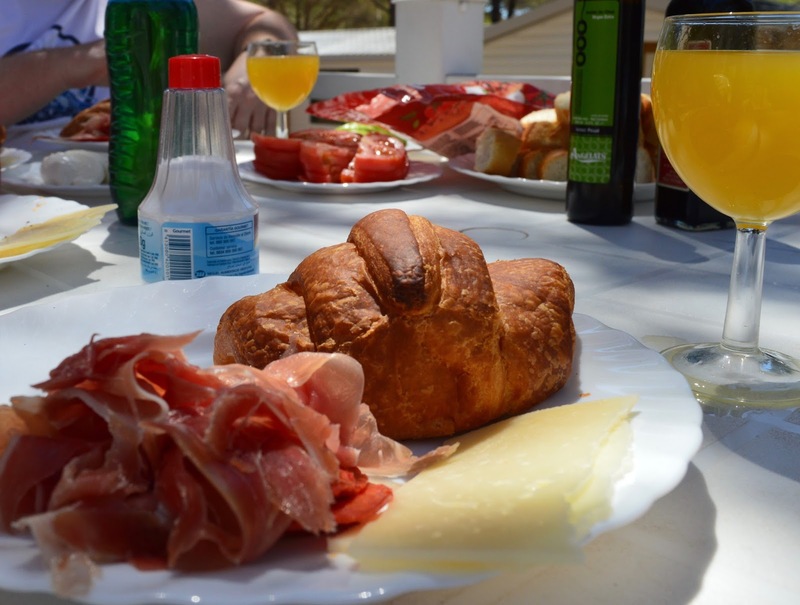 Now this is what I call glamping, Spanish brunch is delicious and that swimming pool plus the lush weather is what I call nothing short of spectacular! 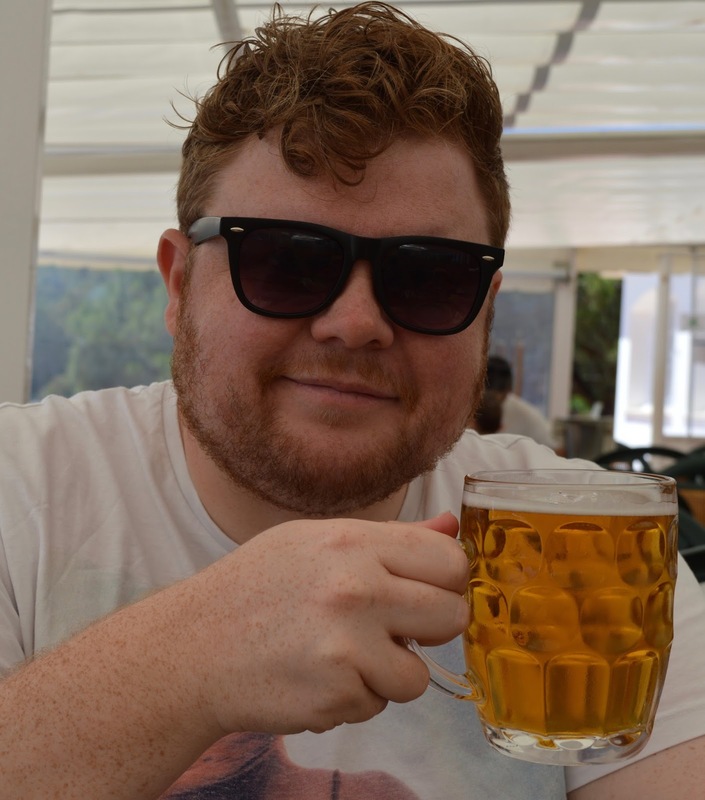 It looks like you had a very nice holiday to Spain! I wish I could go on holidays like this, nice photos from the trip!